Netherworld Presentation! Devlog Update news - Kasplat! Welcome back to the Geekabyte Games Devlog everyone. I we hope you had a fantastic holiday season and we are super keen to catch you up on what's going on with Kasplat! As always, make sure to follow our Facebook, Twitter and Instagram to keep up with the development of Kasplat and subscribe to our YouTube channel for more video updates and gameplay! 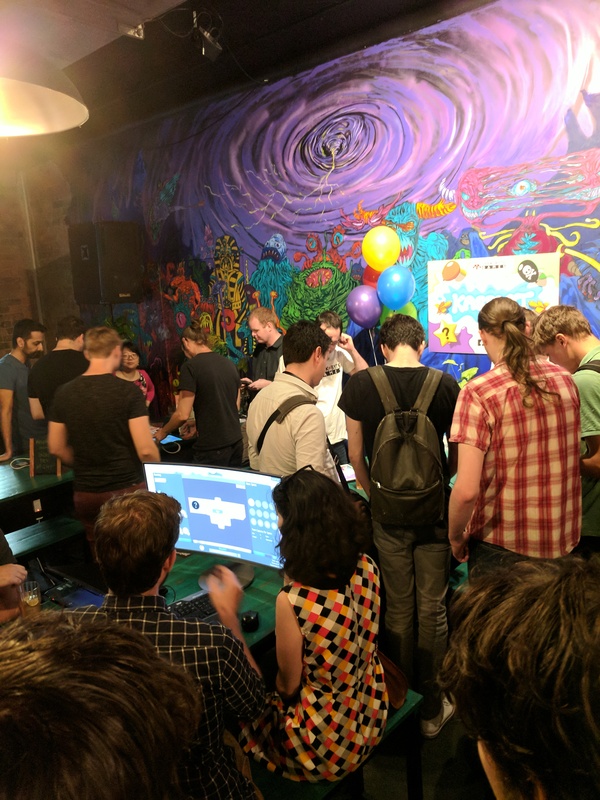 This week we were lucky enough to be invited to present the current version of Kasplat at an indie developers night, hosted by the awesome, local Brisbane gaming and arcade bar, Netherworld! The night proved a marvelous success with a veritable horde of attendees trying their hand at bursting balloons. 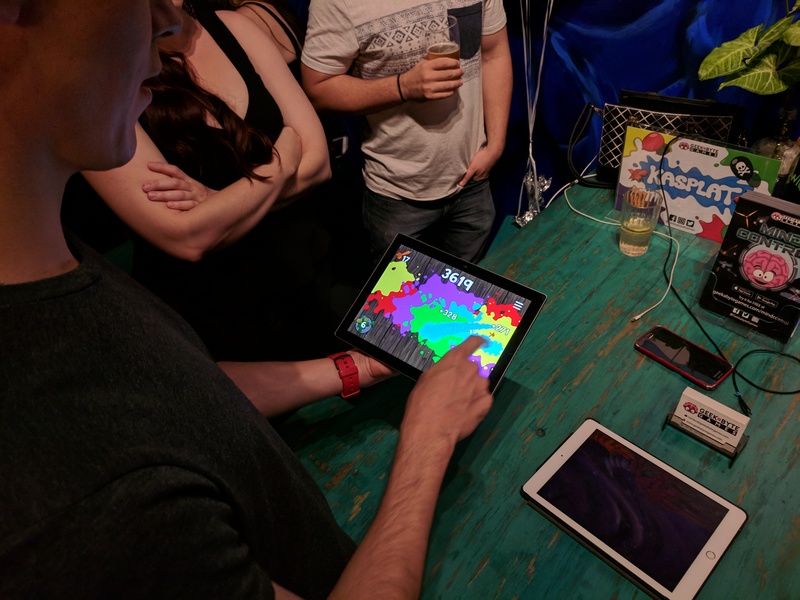 The wonderful feedback we received was invaluable, and overwhelmingly positive with many attendees querying the release date and telling us how much they enjoyed the game. All of our recent enhancements to accessibility and simplicity discussed in previous Devlogs showed it's worth as almost all testers found the game very easy to get into and work out. 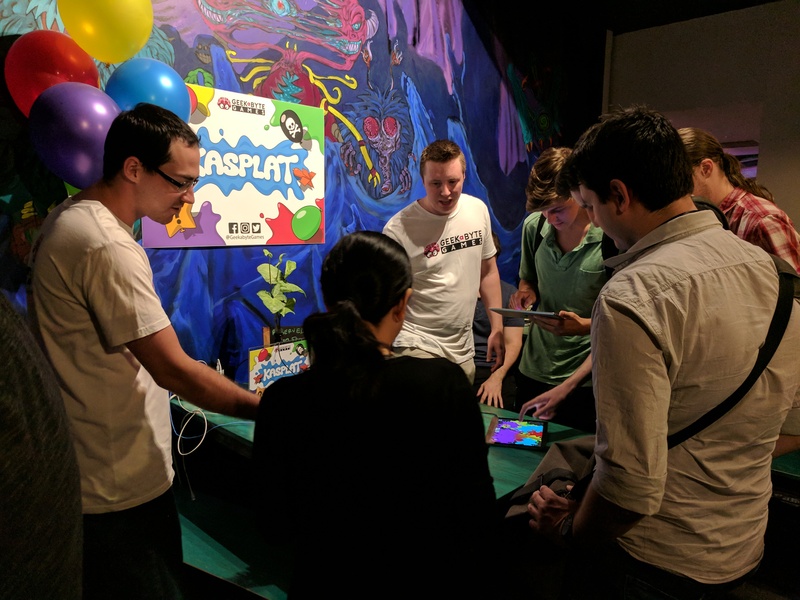 We were even lucky enough to garner some glowing feedback including props like; "It's great because it's easy to get into but hard to master" and "I actually like it better than Fruit Ninja". However with any amount of compliments a healthy dose of reality is important and there were some great suggestions on the night as to how we can further improve the play experience or make some game mechanics even more intuitive or self explanatory. The biggest flaw was most certainly that players took a short while to fully grasp the game's color combo mechanics, despite the recently added tutorial pop-up prior to the start of the round. This was to be expected, but along with the criticism came some fantastic suggestions for improvement such as a glowing outline around colored splats to indicate the color combo area. This will be something we will continue to look into and improve over the coming weeks. Now that the holidays are behind us we look forward to once again digging deep into the development effort on Kasplat, so stay tuned next week for another Geekabyte Games Devlog update!